From Gretchen McNeil, the author of Ten and Possess, comes this teen horror novel perfect for young fans of Stephen King, and Lois Duncan's I Know What You Did Last Summer. For Annie Kramer, the summer before college is bittersweet—both a last hurrah of freedom and the last days she'll spend with her boyfriend, Jack, before they head off to different colleges. So she and her friends plan one final adventure: a houseboating trip on Shasta Lake, complete with booze, romance . . . and an off-limits exploration of the notorious Bull Valley Mine. The legends of mysterious lights and missing persons on Shasta Lake have been a staple of sleepovers and campouts since Annie was a kid. Full of decrepit bridges that lead to nowhere, railroad tunnels that disappear into the mountains, and terrifying stories of unexplained deaths and bodies that were never recovered, Bull Valley Mine is notorious and frightening—perfect for an epic conclusion to their high school lives. The trip is fun and light—at first. But when a deranged stranger stumbles upon their campsite, spouting terrifying warnings and pleas for help, it's clear that everyone is in danger. And when their exploration of the mine goes horribly wrong, Annie and her friends quickly discover that the menace of Bull Valley Mine doesn't stay at Shasta Lake—it follows them home. As one by one her friends fall victim to this mysterious and violent force, Annie must do whatever it takes to discover the ancient secrets of the mine and save her friends . . . if she's not already too late. Another one I am excited to read! I've enjoyed this series and cannot wait to see how it all ends!! Wow, Relic sounds great! I'd love to read that one! 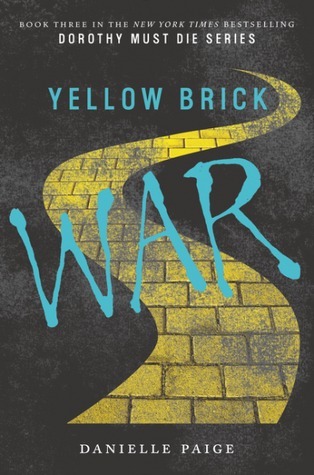 I haven't caught up on the Dorothy Must Die series, but I'm glad Yellow Brick War will be out soon. Great picks, and thanks for sharing! 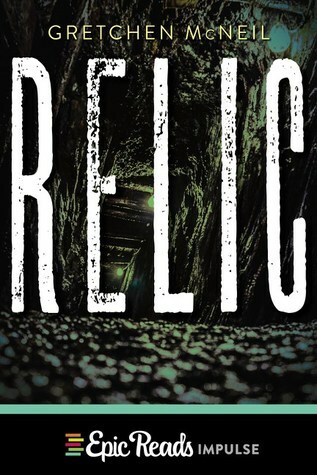 Somehow I hadn't heard of Relic before now! Here's my WoW. Happy reading! I never read the Dorothy Must Die series- I am glad you are so exicted about the release though. Relic is new to me. I still need to read Dorothy Must Die. Relic looks really interesting. I'm not generally into horror, but I might pick it up. Relic sounds scary! I like the author, so I'll have to add this to my tbr. I haven't read any of the Dorothy Must Die series. I hope you enjoy reading both of your picks this week. I have been waiting for Relic for some time now. It sounds great and I can't wait to pick it up. Is this the last in the Dorothy Must Die series? I just saw Danielle Paige has a new series coming out. Relic sounds like I'd get nightmares haha I need to read that first Dorthy book!! Great picks! Nice picks! Relic sounds interesting. thanks for sharing. OOOH GRETCHEN IS COMING OUT WITH ANOTHER BOOK!!!?? I need to put that on my TBR! great pick and thanks for stopping by! new to me but sounds good and hope that you get a chance to read it soon. I always live for a creepy Gretchen McNeil read! This is a short story, no? I love when a novel starts out one and but makes a complete 360 in the plot later on! Great pick! And the horror novel also sounds good. I don't usually read many horror books but I like the genre. Perfect for autumn (Halloween). I've not heard of these. I hope you enjoy them when you read them! Hmm... I'm not much into horror. Hope you enjoy it though. Relic is new to me and wow sounds so freaking amazing. adding it now. Both sound wonderful. Awesome picks! These both sound great Jessica. Covers both have some sort of path on them too. The Rise of Genesis Cover Reveal!